Simple tweak in the shareholding structure of Cloudtail India means the key seller can resume sales on Amazon India. The announcement of revised guidelines for foreign direct investment (FDI) in e-commerce on December 26 evoked contrasting reactions in India’s retail industry — a hearty welcome by the traditional traders and the smaller online marketplaces, and pushback by the two largest e-commerce players. For Amazon and Flipkart, with nearly 70 per cent market share, the new norms ostensibly delivered a body blow. While Cloudtail India, the largest seller and a group company of Amazon India, would become ineligible to sell on the platform February 1 onwards, five of Flipkart’s sellers would become “controlled sellers” in that they almost entirely sold their inventory to Flipkart or its group companies and would, consequently, have to restrict their sales to the marketplace to 25 per cent of their total stock. Traders, who had been accusing online marketplaces of circumventing the spirit of FDI norms by controlling inventory and indulging in predatory pricing, saw the new rules as an opportunity to “provide an equal level playing field”. The anticipation of a complete overhaul of the domestic e-commerce market by industry watchers and market analysts notwithstanding, a simple tweak in the shareholding structure of an entity called Prione Business Services, which owns 99.99 per cent in Cloudtail India, has ensured that the seller can resume sales on Amazon India, effectively restoring status quo. On Wednesday, Infosys co-founder N R Narayana Murthy’s investment arm Catamaran Ventures increased its stake in Prione to 76 per cent from 51 per cent earlier, while Amazon’s stake in it went down to 24 per cent from 49 per cent. A loophole has been found in the new norms that the government brought in to restrict online retailers from circumventing the foreign direct investment (FDI) regulations. It now remains to be seen whether the Centre moves on this to further tighten the rules in order to prevent e-commerce companies with FDI in having an interest in the inventory being sold on platforms. For the purpose of FDI rules for e-commerce, a “group company” is defined by a 2013-circular issued by the Reserve Bank of India, as “two or more enterprises which, directly or indirectly, are in position to (i) exercise twenty-six per cent, or more of voting rights in other enterprise; or (ii) appoint more than fifty per cent, of members of board of directors in the other enterprise”. By reducing its stake in Prione to below 26 per cent, Amazon legitimised Cloudtail, which sells around 3,00,000 products, as a seller on its India marketplace. “After these steps by Amazon, it looks like the exercise was for nothing. If the idea was to remove sellers with interest from marketplaces, then that loophole should have been closed entirely. Those who have written the policy should have known that there is a difference between what was being pushed for and what is the outcome of this,” Satish Meena, senior forecast analyst, Forrester Research told The Indian Express. In a clarification to its note on December 26, the industries department, on January 3, explained the “need for this intervention” by saying: “… government continued to receive complaints that certain marketplace platforms were violating the policy by influencing the price of products and indirectly engaging in an inventory based model. An e-commerce platform operating an inventory based model does not only violate the FDI policy on e-commerce but also circumvents the FDI policy restrictions on multi-brand retail trading”. “Therefore, latest Press Note on FDI policy on e-commerce sector was needed to ensure that the rules are not circumvented,” the government added. On Thursday, the Confederation of All India Traders (CAIT) alleged that Amazon’s latest move to rejig stake in Prione was a “circumvention of new rules”. 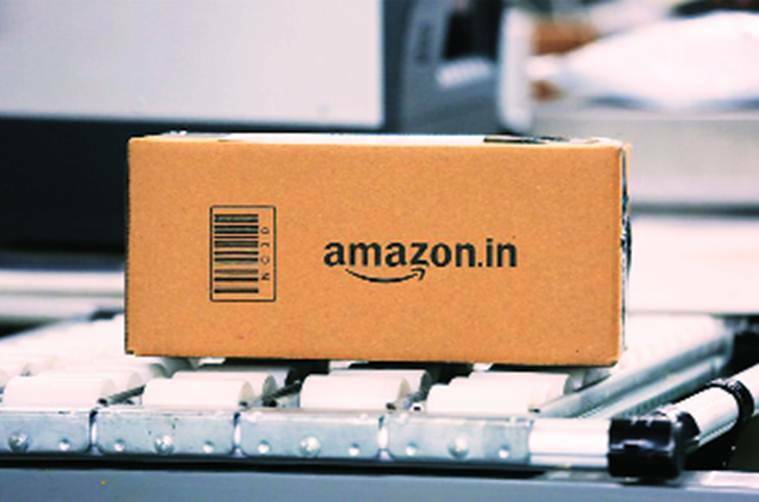 Amazon India, in a statement, noted that it remained committed to complete compliance with all the laws of the land given that it has no equity participation in any seller company on its marketplace nor does any seller buy more than 25 per cent of its inventory from Amazon’s wholesale business. In a January 31 note, Morgan Stanley said that it expects the regulation to lead to larger (already modeled) long-term losses for Amazon. “In our view, Amazon (and Walmart/Flipkart) built these business structures in order to increase selection and keep prices lower for consumers to drive demand … and to work around India regulations forbidding non-India companies from owning B2C first-party businesses … new regulation currently set to take effect on February 1 will prohibit this going forward,” the investment bank said in the note. Later, in a February 5 note, Morgan Stanley said that Walmart potentially exiting India “was not completely out of the question with the India e-commerce market becoming more complicated”. Deutsche Bank, in a January 31 note, pointed out that the Press Note 2 of 2018, which was issued “in response to the concerns of the small sellers and in an effort to strengthen Narendra Modi’s (Prime Minister of India) credibility ahead of the forthcoming election”, would prove to be detrimental to growth of gross merchandise volume for e-commerce platforms in India. A day before the new rules came into effect, while Flipkart said it was disappointed at the fact that the government decided to implement the regulation changes “at such haste”, Amazon had said that it would continue to look to engage with the government to seek clarifications that help it decide the future course of action as well as minimise the impact on its customers and sellers. Meena pointed out that in its current form, the rules allowed marketplaces to set up more entities like Cloudtail. “We believed that it would take at least one to two months for e-commerce companies to come back to normal and figure out the operations but now we think they will sort everything out in the next 15 days or so,” he said. A spokesperson for All India Online Vendors Association, a body representing small sellers on e-commerce marketplaces, said that all sellers were welcomed as long as there was level-playing field on the platform where all sellers were treated equally and were charged same fees and policy effects.